Eggs - Enlightened Solutions Ltd. - Paleo Nutrition - Designed By Nature. 5 strips of bacon, sliced into one-inch pieces. 1/2 small yellow onion, chopped. In an oven-safe skillet, cook bacon over medium high heat. Once the bacon grease has rendered some, add the onion and broccoli. Cook until onion is translucent. Pour the eggs into the skillet. Add the chili powder and black pepper and stir for a few turns. Cook over medium heat until the edges begin to firm. Remove from heat and place skillet into oven. Cook for another 12 – 15 minutes until the frittata is set. 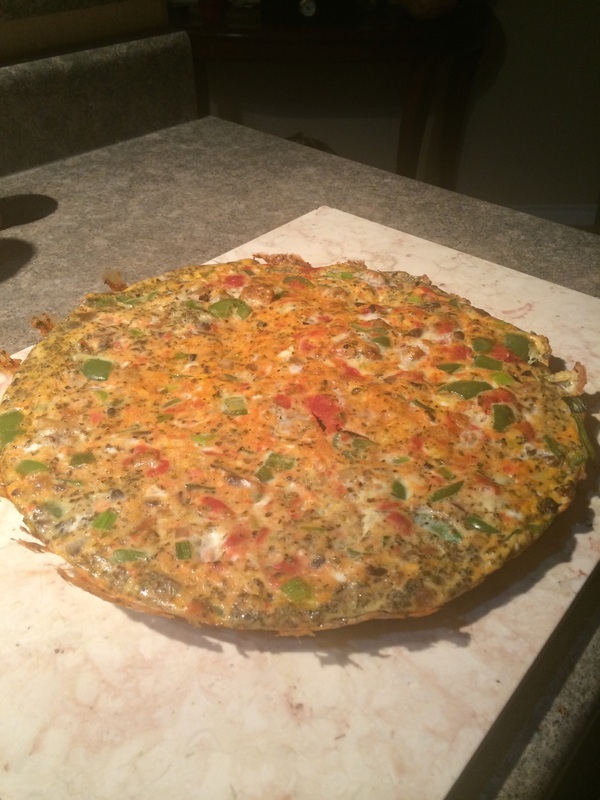 I have been hunting for a great frittata recipe that was both delicious and easy to make. I was amazed at how difficult people can make a recipe! From multiple bowls and complicated procedures right up to one recipe that even has you making your own seasoning… sheesh kabob! !… who really wants to do that?? So, I made my own recipe. It is wonderful for low carb diets, and diabetics will not see a significant blood glucose spike from it IF it is made according to the recipe. If you start adding cheese and other stuff… you may end up spiking your sugars. Just be aware of that if you have diabetes. It also freezes very well, and makes a very portable meal on the go. Combine ground pork with Italian seasoning and mix well. In an oven safe frying pan, brown the pork - breaking it into small bits as it cooks. While the pork is browning, whisk the eggs, tomato sauce, basil, oregano and garlic salt together. You can chop the veggies too. Once the pork is browned, remove it from the pan and set it aside. Melt the coconut oil in the pan and add all of the veggies. Cook them for 2 or 3 minutes over medium heat. Add the meat back into the pan and cook for another minute or so. Add the egg mixture, mixing well. Allow it to cook until the edges start to set up. Move the pan into the oven and bake for 10 minutes. Let it sit for a few minutes, then using a spatula, slide it out of the pan and onto a cutting board. Cut into 4 pieces.